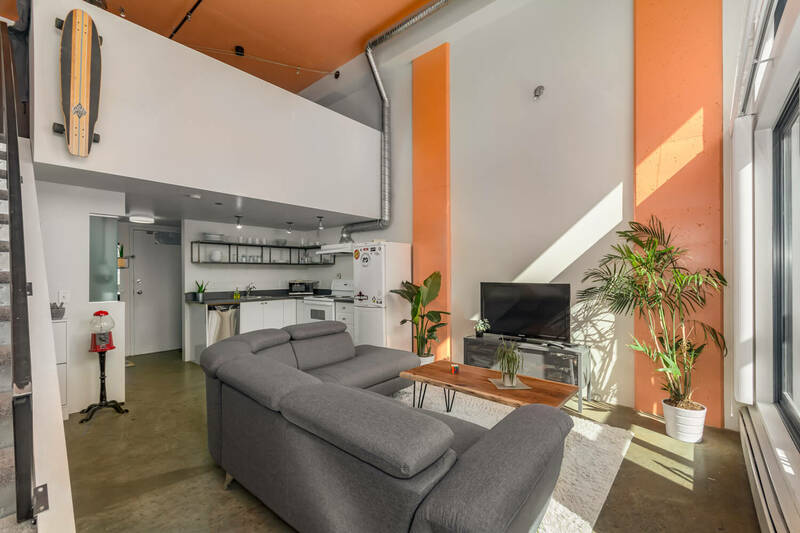 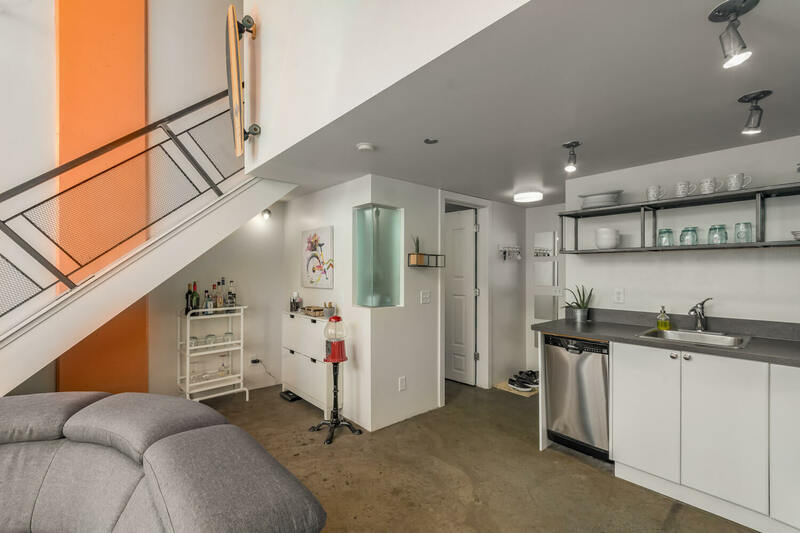 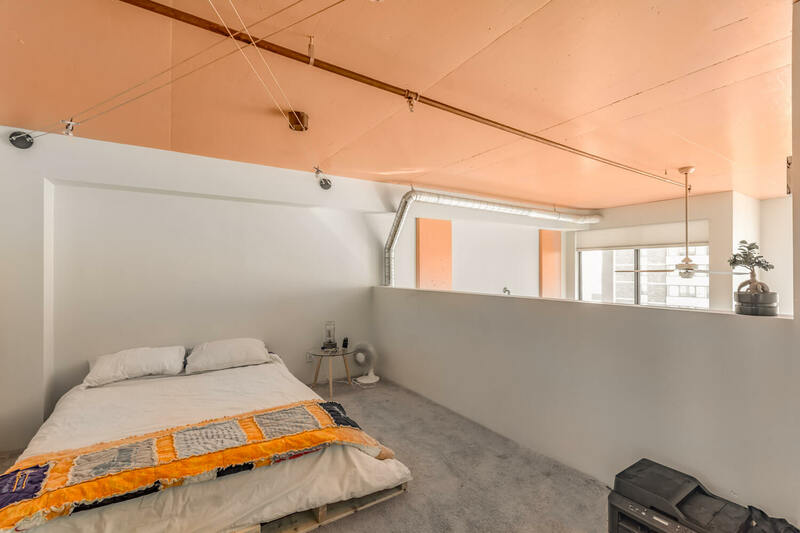 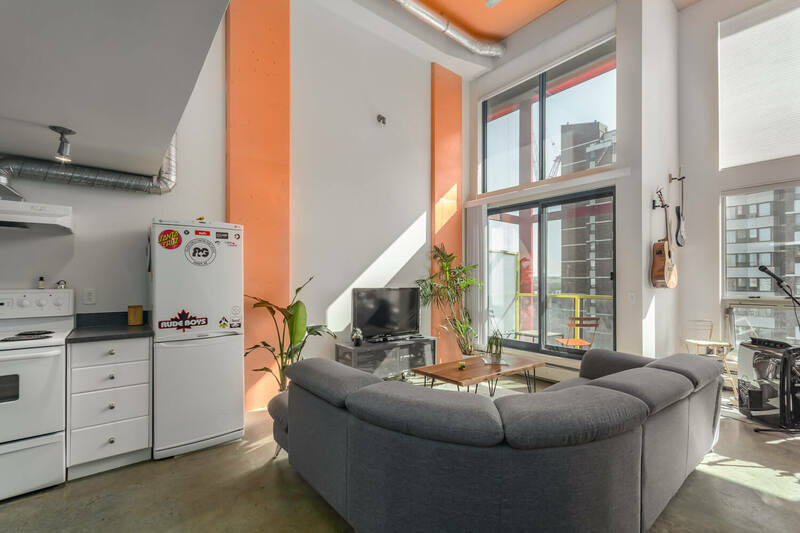 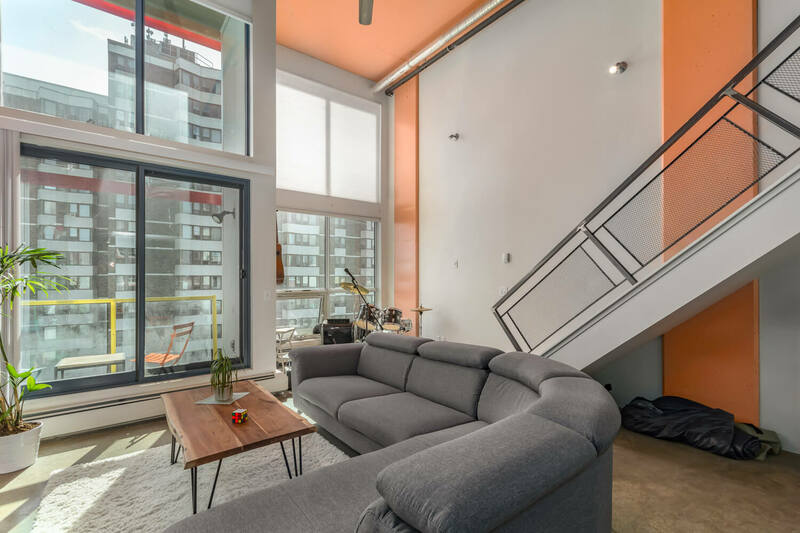 This beautiful east-facing open plan unit offers a functional layout complete with polished concrete floors and exposed concrete columns & ceiling. 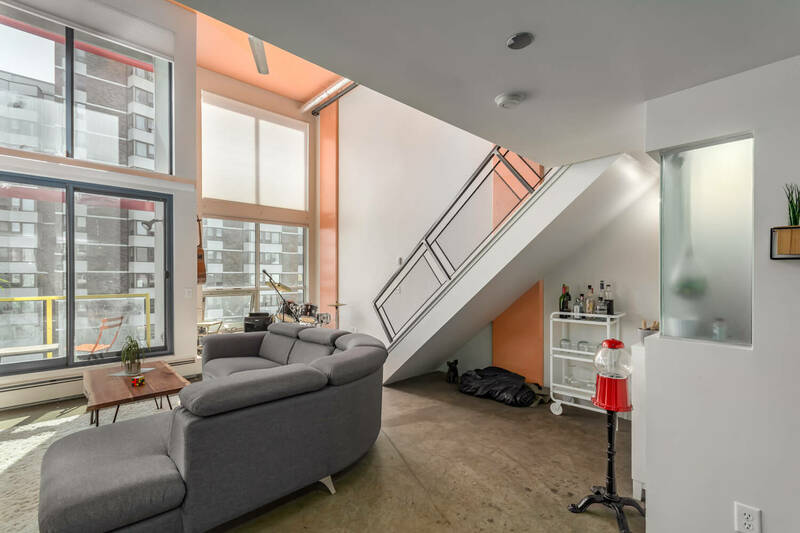 A soaring 16-ft wall of windows floods the space with natural light, while a private balcony off the living room offers an ideal spot for entertaining & relaxation. 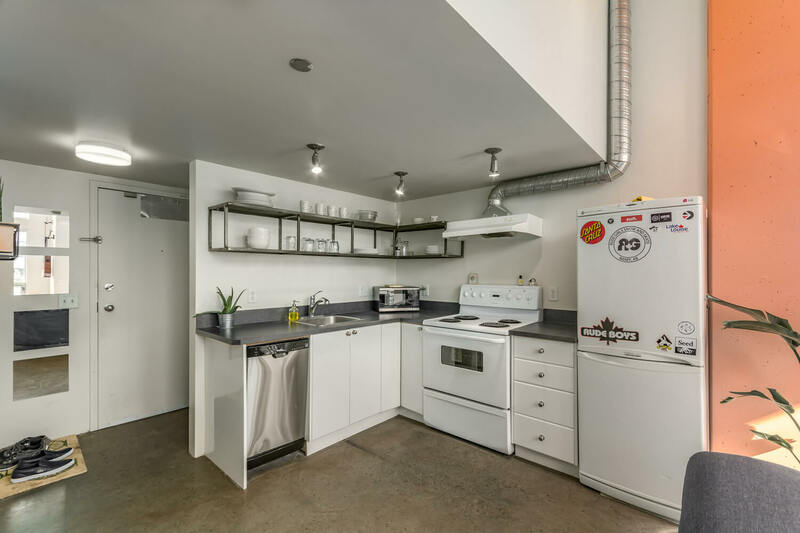 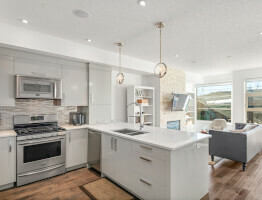 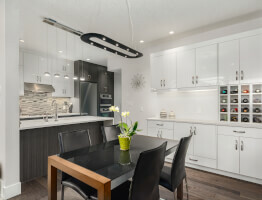 The stylish kitchen features white and stainless steel appliances, flat panel cabinetry and restaurant-inspired open metal shelving. 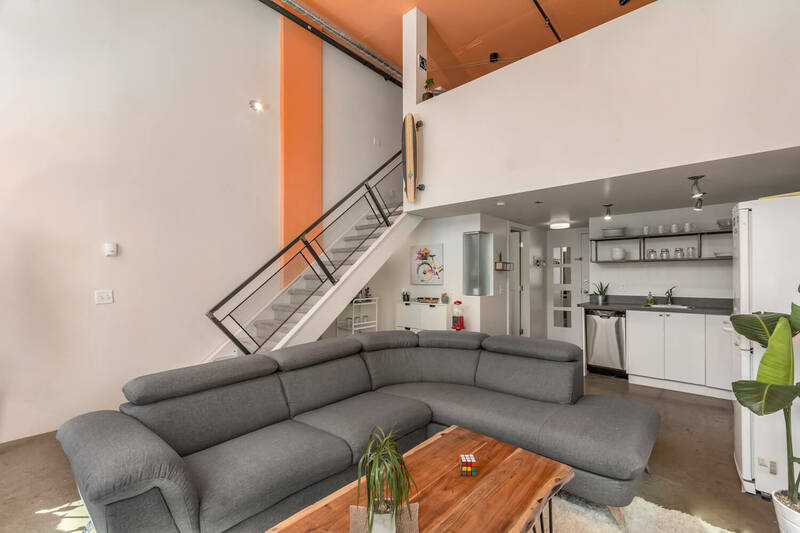 The main floor also hosts a 4-piece bathroom, laundry with stacked washer/dryer, and a flexible open space under the stairs - perfect for additional storage/office nook. 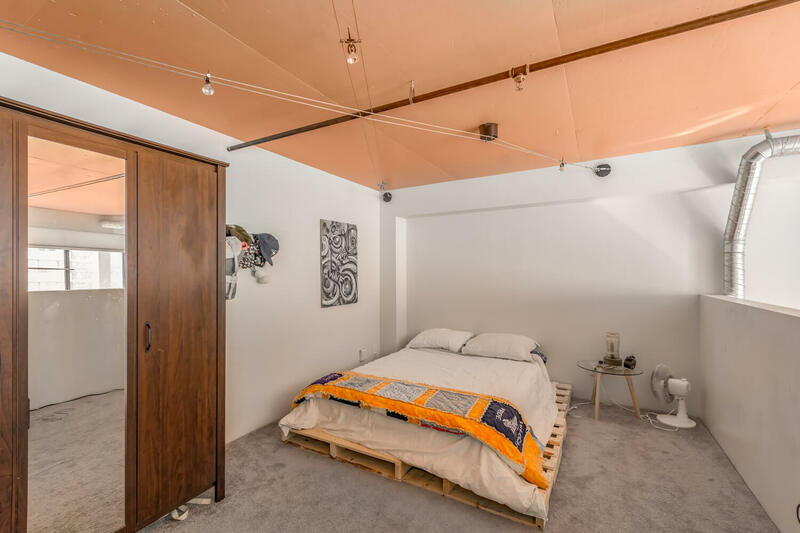 Lofted master bedroom with plenty of closet space. 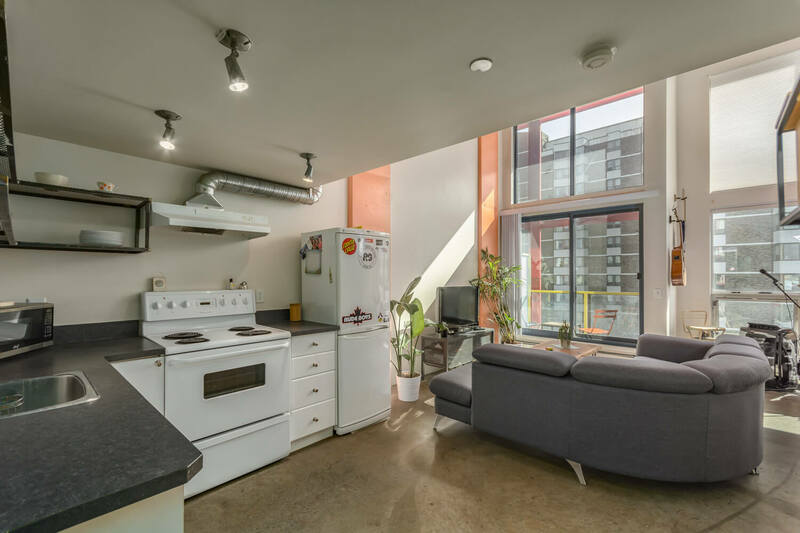 Condo fees include electricity. 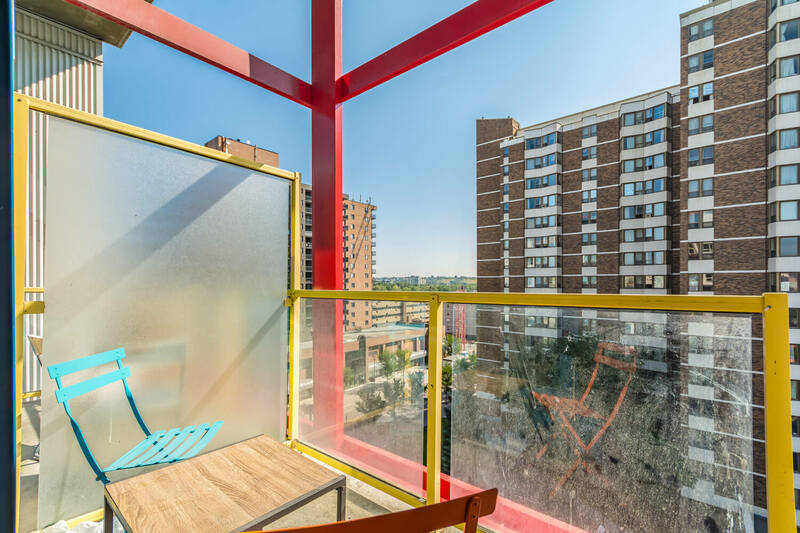 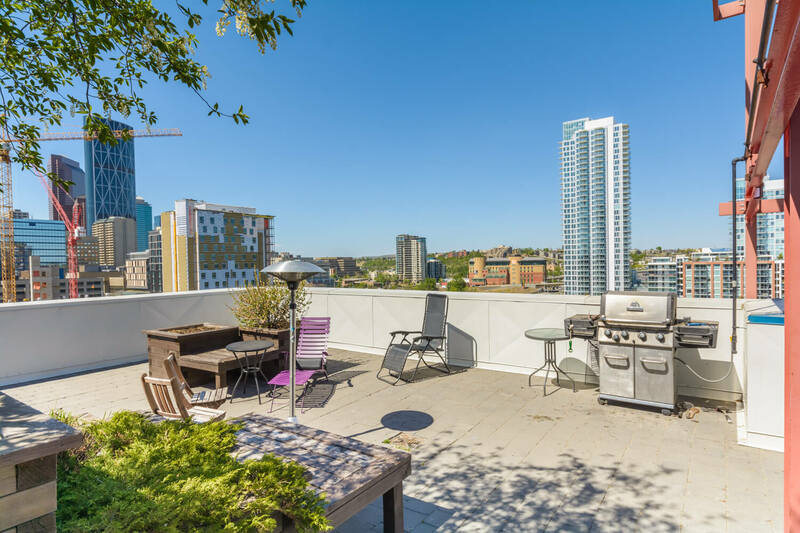 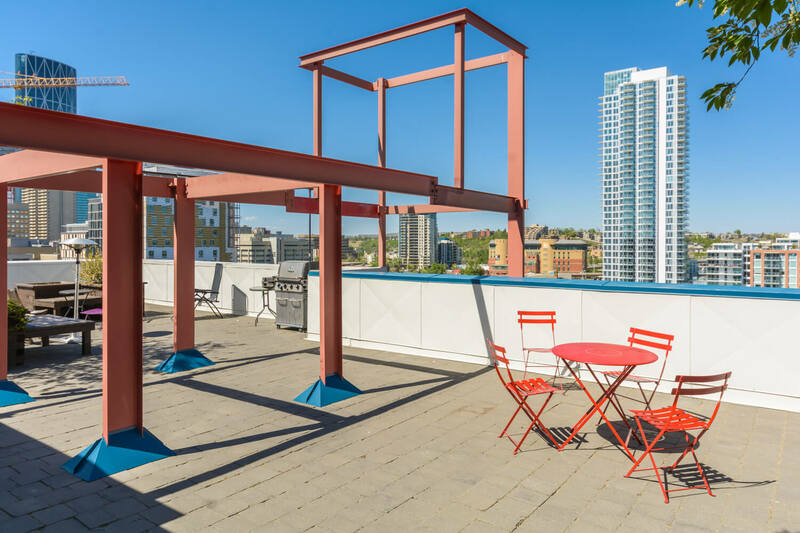 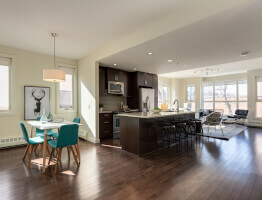 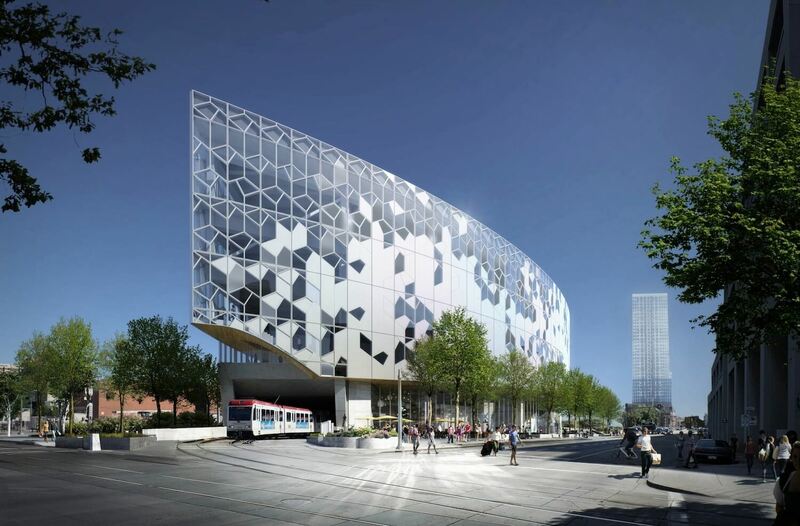 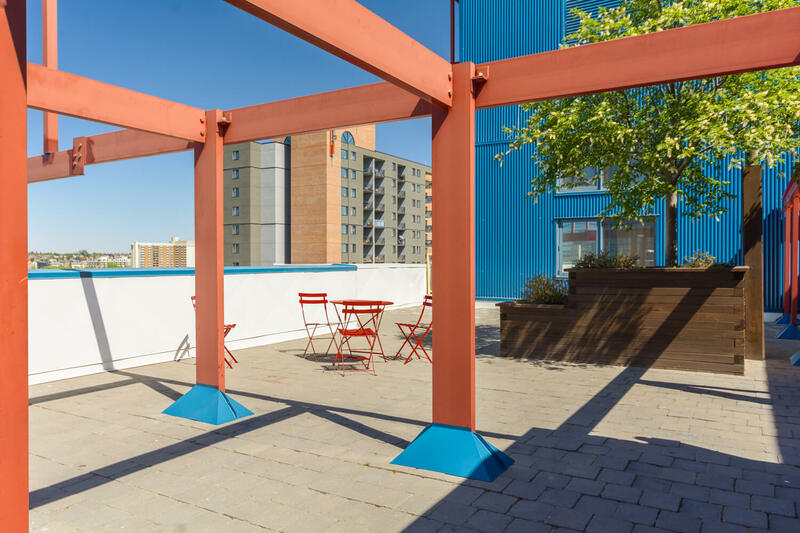 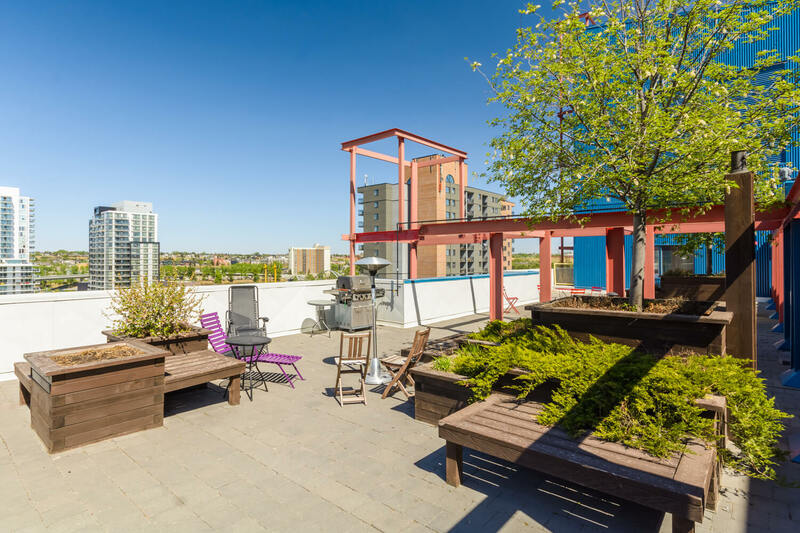 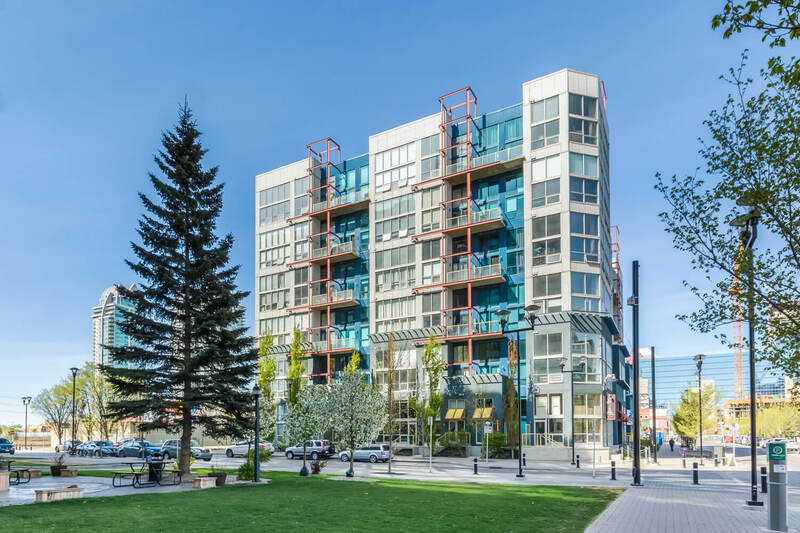 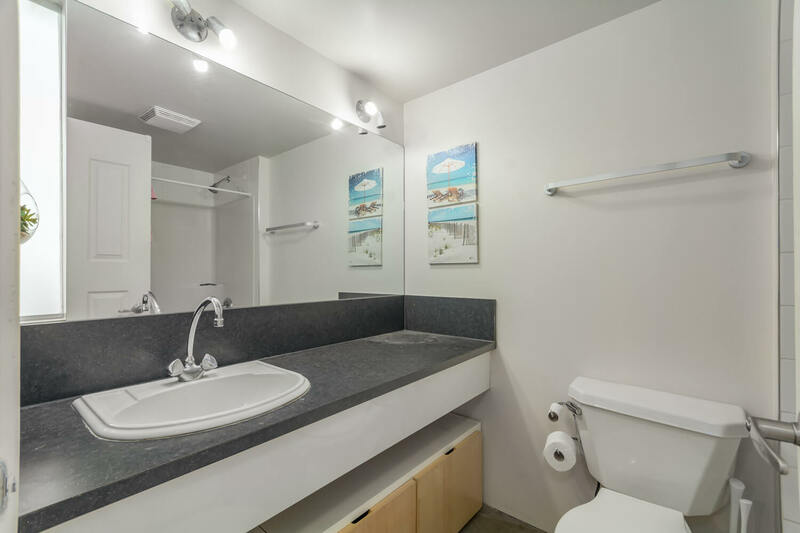 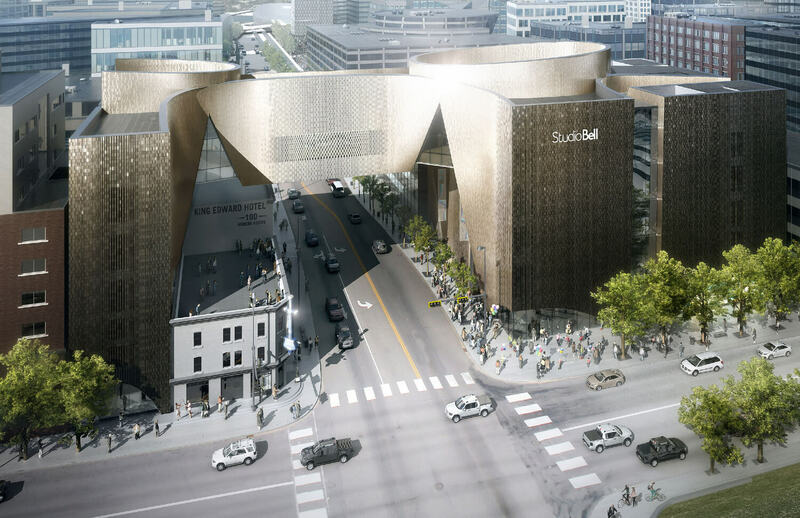 Also note underground heated parking, additional storage locker, a party room, and access to a wonderful rooftop patio with sweeping views of the downtown. 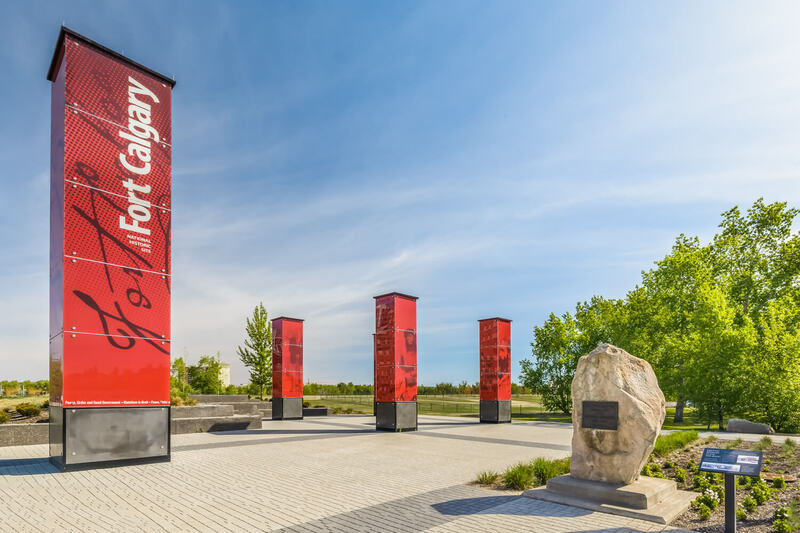 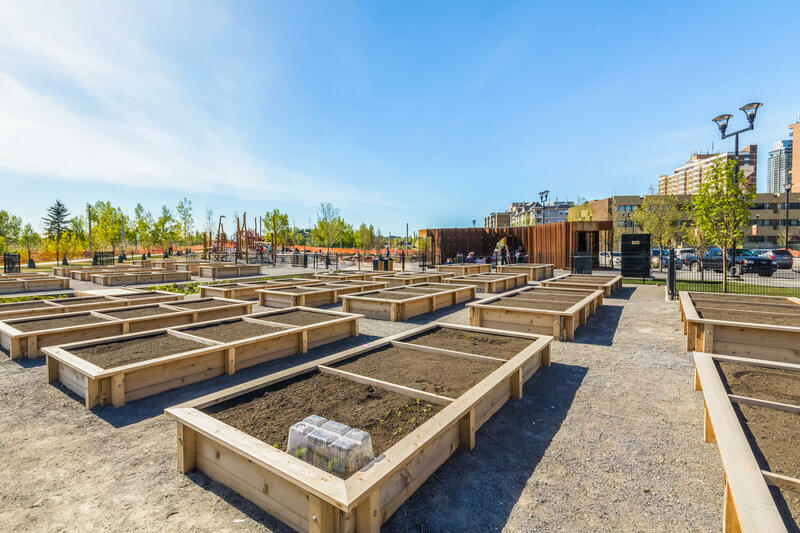 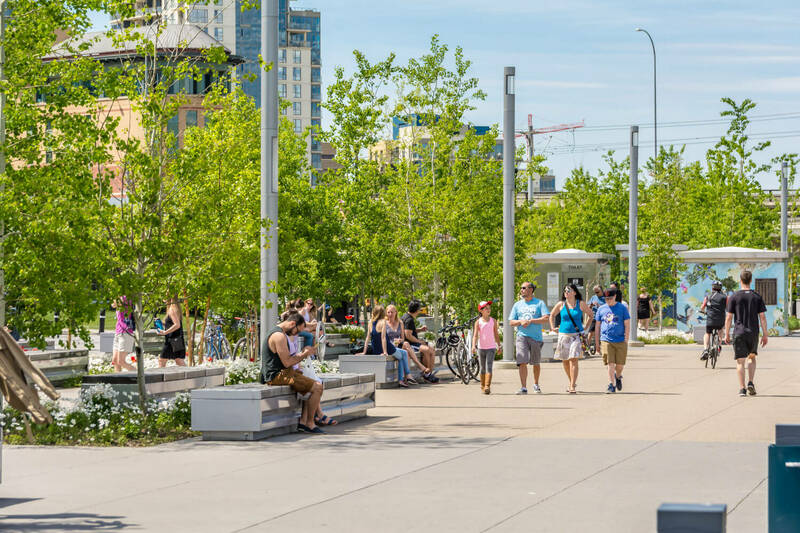 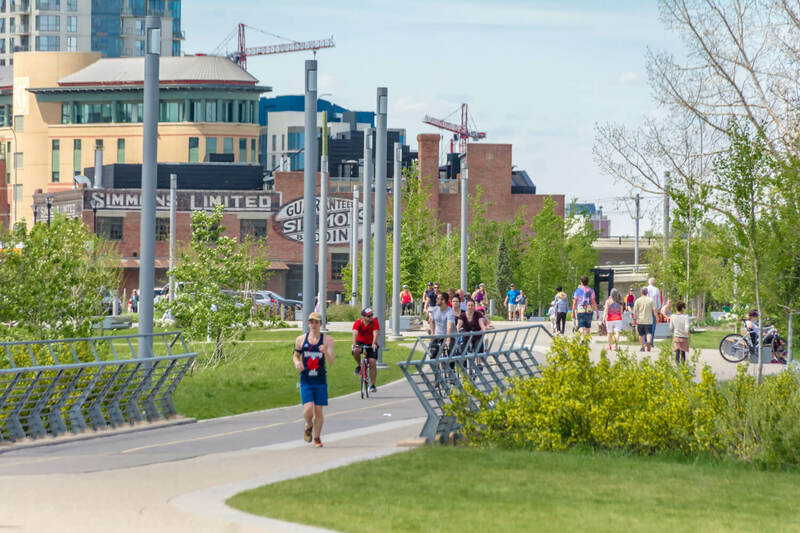 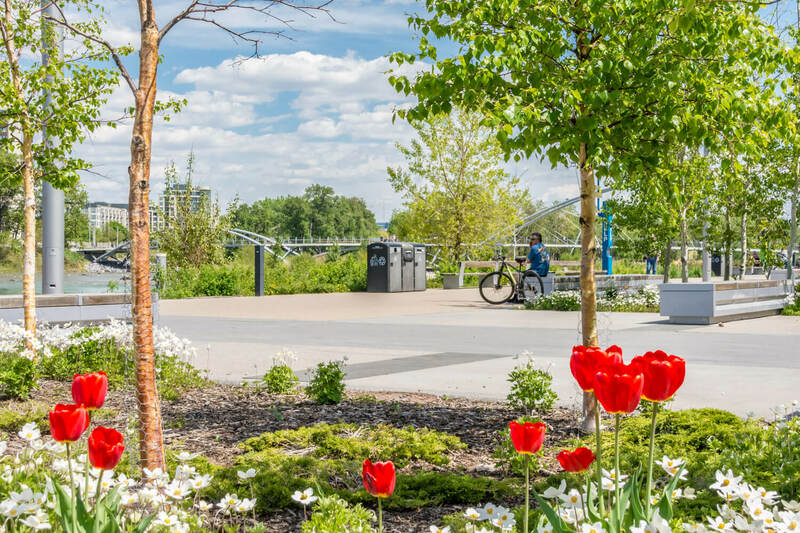 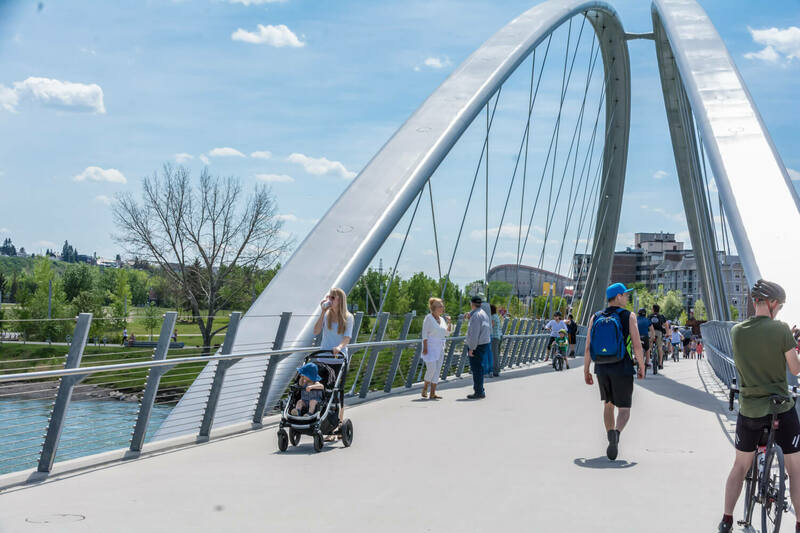 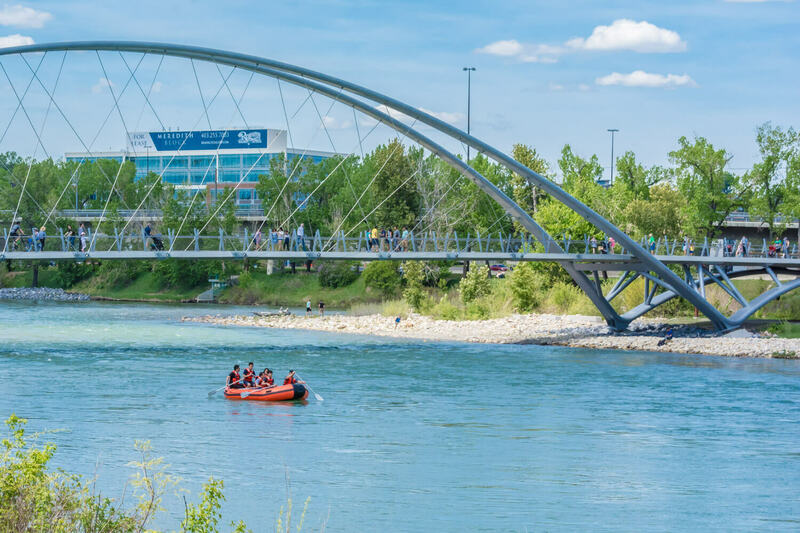 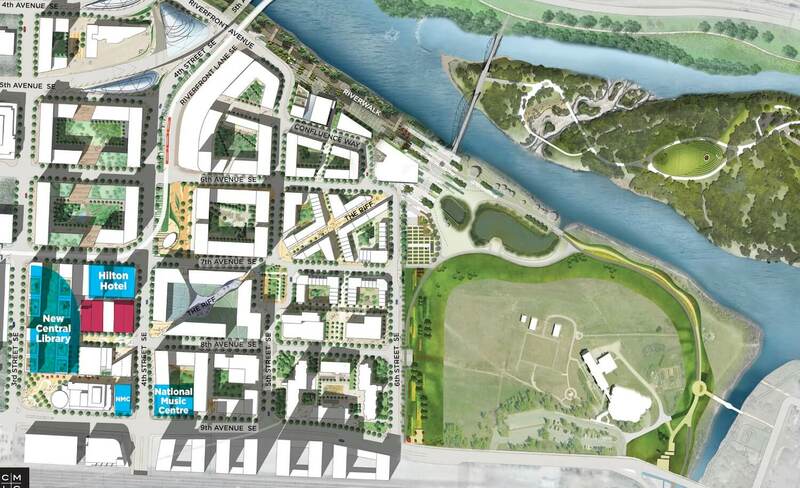 New and award-winning restaurants and cafes, shops and the Bow River Pathway are all on your doorstep.